This beautiful tie is printed on an exclusive Rotary emblem silk jacquard. Kids in their native country's attire. Classic Elegant Design Woven Silk Tie. Beautiful Printed Silk Tie that is a Perfect Match for your Khaki Slacks and Navy Blazer. Perfect match for your khaki slacks and navy blazer. 100% Silk Necktie. - Available in regular or extra-long. Rotary Gold and Navy blue combine to make this 100% silk tie. 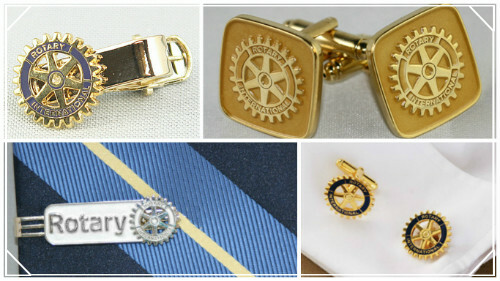 Rotary International Masterbrand logo woven directly into tie.